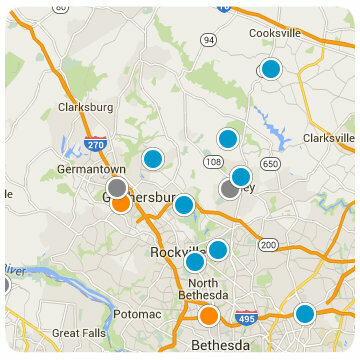 Search all Montgomery County property listings on our easy to use Montgomery County MLS real estate search. Get daily email alerts of new homes, condos and land for sale as they become available plus price changes. Montgomery County is one of the more affluent counties in the United States. As of the 2010 census, the population was 971,777, and a 2013 estimate put the population at 1,016,677. 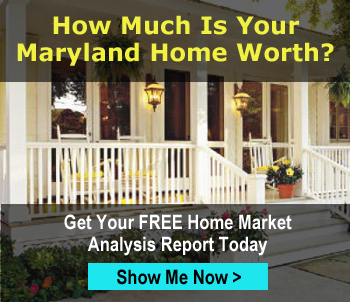 It is the most populous county in Maryland. The county seat and largest municipality is Rockville, although the census-designated place of Germantown is the most populous place. Montgomery County is included in the Washington-Arlington-Alexandria, DC-VA-MD-WV Metropolitan Statistical Area. Most of the county's residents live in unincorporated locales, of which the most built up are Silver Spring, and Bethesda, though the incorporated cities of Rockville and Gaithersburg are also large population centers as are many smaller but significant places. As one of the most affluent counties in the United States, it also has the highest percentage (29.2%) of residents over 25 years of age who hold post-graduate degrees. In 2011, it was ranked by Forbes as the 10th richest in the United States. Montgomery County, like other inter Washington D.C. suburban counties, contain many major U.S. government offices, scientific research and learning centers, and business campuses. The Montgomery County housing market continues to soar, continuing the strong sales gains seen through the first five months of 2015. Closed sales reached the highest monthly tally since 2006, increasing 10.6 percent from last year. New pending also reached the highest June level since 2005, jumping 13.7 percent compared to last June. Active inventory showed a year-over-year increase for the seventh consecutive month. Median sales and days on market for June showed slight increases over last year. Half the homes sold in June were on market less than three weeks, so sellers are continuing to have offers in a remarkably short amount of time. Montgomery County’s listings show a seller’s market, with just less than four months of supply available. When analyzing the segments of the housing market, it is important to note that all homes, including detached, single family homes, townhouses and condos, increased in their sales price compared to June 2014.